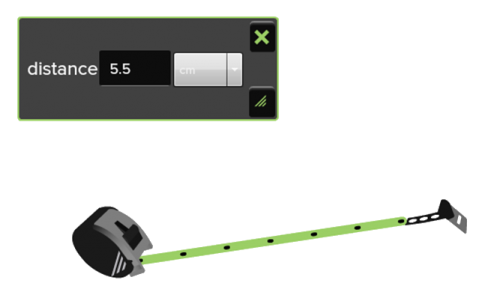 Use the tape measure to measure the length of on-screen objects. Move the tape measure to the desired location, then drag the end of the tape to start measuring. When the tape is released, the measurement will appear in the “Distance” box and will be reset when the next measurement begins.